Now, having caught up with it onDemand, I’ve reached the conclusion that the DVR was given instructions from The Island ITSELF, and wanted me to go into the episode a day later, with some more measured expectations. It is easy to see why some people might be pissed off by the episode, since it indulged some of Lost’s worst quirks – heavy-handed dialogue that delivers a bunch of non-answers, meta-commentary that meant to be clever but just came off as dickish (“Every question you ask will only lead to more questions,” Allison-Janney says, like that excuses anything), and “big reveal” episodes that are actually pretty small-scale and don’t reveal much at all, along with a tossed-off answer to a long-standing mystery that mostly makes you wonder how Lindelof and Cuse could have possibly had that in mind all along (looking at you, Alpert-spotlight-episode-from-last-month). But on the other hand, it’s an episode that kind of requires you to sit with it a little longer, rather than go with the usual knee-jerk reaction many a Lost episode has elicited. Which is what makes Lost a highwater mark in network drama. SPOILERS ON, as I give a quick blow-by-blow of what happened and why that episode actually was pretty good. “Across the Sea” told a fable about two brothers, born on The Island and groomed to protect it, and how each of them failed that responsibility, and were damned by their short-sighted actions. A castaway delivers Jacob and Mom-hadn’t-expected-a-twin-so-didn’t-bother-to-think-of-a-second-name (seriously, show?) on the island with the help of a not-so-sane woman living in the wilderness (one of the things Lost does best – offering echoes and patterns without explicitly pointing them out), who promptly kills the mother and raises the boys herself (frequently lying to them along the way). One is sweet and guileless (Jacob), the Other (hmm) is clever but restless. They grow up, and they grow apart, when The Island’s ghost-mom tells the Other of his true origins, and he makes it his business to find a way to use the weird energy of the Island (explained as, basically, the soul of the world by current protector, Allison Janney/surrogate mom) to get off the stupid rock. Allison Janney kills his tribe to keep him from doing so, he kills her in vengeance, and Jacob, not really understanding anything that’s going on but now tasked to protect the world’s soul (and, it’s implied, not being the one who was “meant” to protect The Island, but rather a stop-gap – again with the echoes and patterns), kills his brother and angrily tosses him into the world’s soul/grotto. It spits out two things: the body of his brother, and a plume of screeching smoke. It took the always-helpful recap analysis by the AV Club’s Noel Murray for me to see something that probably should’ve been more obvious: Never was it implied that the smoke monster was ALSO Jacob’s nameless brother. The guy we saw interacting with Jacob took the form of his dead brother – but whatever it was, it wasn’t a human being. It’s what’s created when a murdered brother is thrown into the soul of the world. That makes Jacob and the smoke monster far more interesting to me than some magical mutant with a grudge against his sibling – Jacob’s not some lord of order, and the smoke monster’s not Jacob’s dark reflection, despite their costume color schemes. Jacob’s a guy who made a bad decision and has been paying for it ever since; the smoke monster’s something that uses the form of the man Jacob murdered to antagonize him. Again: this isn’t something that would have occurred to me as I was watching it, without having heard the episode’s basic plot through internet recaps first. Now then, Lost. You get a pass from me about this episode – even though I still maintain giving the backstory on Jacob a WEE BIT EARLIER would have made the season a little more relevant for the viewers. But that’s all in the past, let’s look to the future: 3.5 hours left before it’s all wrapped. How about you devote maybe 10 minutes of that to explaining the Dharma Initiative, please? *A movie where the stupid to awesome scale swung wildly throughout its entire runtime before finally, firmly landing on DUUUUUUUR. I agree with you for the most part. I wasn’t too crazy with the episode immediately after watching it, but I think some of the subtleties take a while to digest. I think the biggest issue that people have is that its way too close to the end to have this kind of episode, with essentially no presence of the main characters (and it was just showing us stuff we already saw when they were on screen). If this was episode 4 of the season unstead of 16 or whatever it is, then it might have gone over with people a bit better. I’d even go so far as to recommend to anyone who was waiting for the series to conclude before getting into it, to watch this one earlier in the season – like episode 6 (whenever a good “breather” episode) might have fit in. Because as it stands, four hours before the series finale is NOT the time for a palate cleanser. indeed. my first reaction was, what the f*ck? my second was, well, ok. i’ll go with that…. but seriously? hmmm…. and also, why now? i agree that backstory on jacob works better earlier in the show or the season. My interpretation was different. I think the Smoke Monster IS his brother. His brother’s soul or essence (or whatever) was ripped from his body and turned into a pillar of smoke. When Smoke Monster is in Locke’s shape, he tells someone (I forget who) that he was once human and also had a crazy mom (like Claire). Also, I’m pretty sure he was bitching earlier this season about his body being taken away from him. If it is his brother it raises the question of how is the Smoke Monster NOT the good guy. Jacob is loyal to a person he knows murdered his mother and lies to him. He has no curiosity and seems content to live with this mother in a cave forever, meanwhile all Smoke Monster wants to do is explore the world. This paired with the problem that we’ve never actually been told HOW or WHY his leaving the island will destroy the world, I don’t see much reason to keep him there. 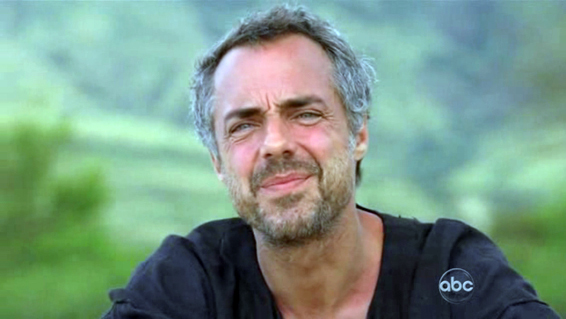 Sure, he’s killing our main characters, but I can’t hold that too much against him since anyone with a modicum of power on the island seem to be pretty pro-massacre. I wasn’t thrilled with the episode but I think it is the very best that the creators could do at this point. The island is a riddle with no answer, it’s completely incomprehensible. Mix the light with water and put a donkey wheel in it and you end up in Tunisia. Get thrown into the light by Norman Bates and you turn into a pillar of smoke. It is what it is. Ugh, I cannot countenance all of this talk about the Smoke Monster not being Jacob’s brother—even if it turns out to be the case. Am I nuts, or didn’t their adopted psycho-mom say very clearly to Jacob: “IF YOU GO IN THERE, YOU DON’T DIE; SOMETHING WORSE HAPPENS”? Unless I’m nuts or remembering wrong, I don’t really get how all these reviews I’ve read have jumped to the conclusion that Jacob’s brother died and the Smoke Monster is someone/something else. 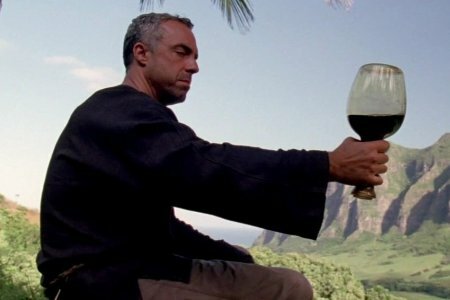 Please note: I’m not saying that the Lost writers didn’t mean to imply that Jacob’s brother died and the Smoke Monster is someone/something else—certainly, the clarity of their writing fluctuates enough that it’s possible they had Allison Janney deliver the line and still mean us to think that he died. But it’s either bad writing or no, the monster is indeed the brother. On the other hand: adopted mother – not right in the head. Also, how the hell would she know? I’m not being snarky here, I now have a question. Seriously – show? It’s Jeff Holland here, we were just wondering, how does this lady know anything? Who is this lady? Do we need to have a flashback with the lady? 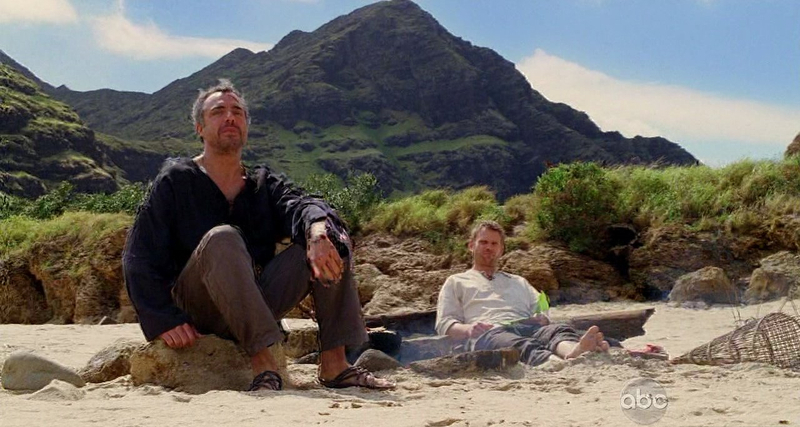 For that matter, can you clarify how John Locke in season 1 seemed to have a very real communion with the island itself and then by season 4 was getting duped by pretty much everyone? That one’s been nagging at me lately. And also the Dharma flashback, please. Look, we’ll give you another season if you need to sort these things out. @Holland: Well, that’s the question: Whether she knew anything or not, if Adopted Mom never gave Jacob any answers—and she didn’t, as far as we saw—then where are we going to get our answers? And as for the island’s particular powers, the one I’m interested in is the one that makes otherwise intelligent-seeming human beings accept total non-answers as satisfactory answers over and over and over again. Because I have bad news for you, Lost creators: That power is not working on a goodly chunk of your viewership. You referred to me as a dead man. I am not a dead man. I know what you are feeling Kate. I know what you are going through. Because my mother was crazy. A long time ago, before I looked like this, I had a mother. Just like everyone. She was a very disturbed woman and, as a result of that, I had some growing pains. Problems that I’m still trying to work my way through. Problems that could have been avoided, had things been different. Because now, Aaron has a crazy mother too. Is it possible that Smokey was lying to Kate– well, sure. But this late in the game, I think we have to start taking people at their words. We’re supposedly at the ‘reveal’ stage in the game. Smokey is Jacob’s brother or I’ll eat my hat.